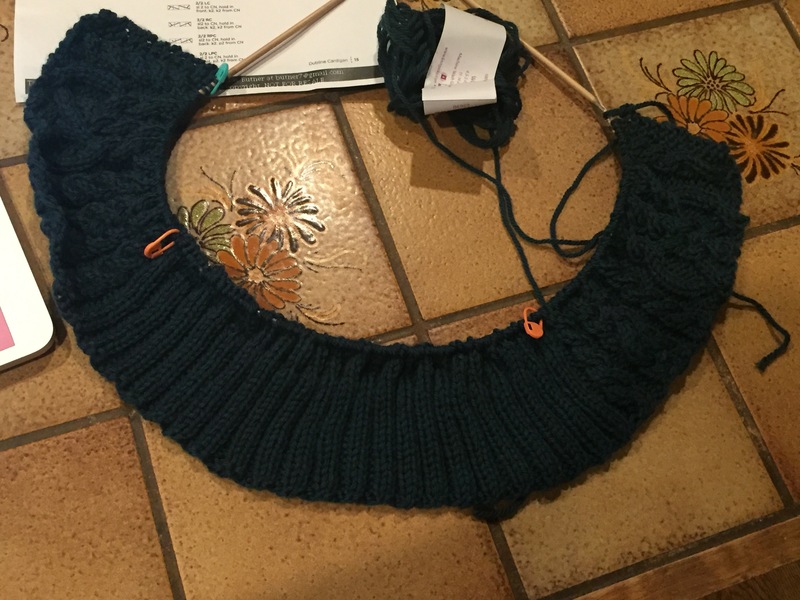 The 14yo has asked for a sweater!! We looked on-line for quite awhile and she finally found something she loved. The Dubline Cardigan by Marousa Gallagher. It is lovely! It has a hood, it’s long and she likes the sleeves! It also has lots and lots of cables which I love! This is what I have so far on one of the fronts. The other one is a mirror image of this one. The cardigan is knit in one piece and the sleeves are added in later. 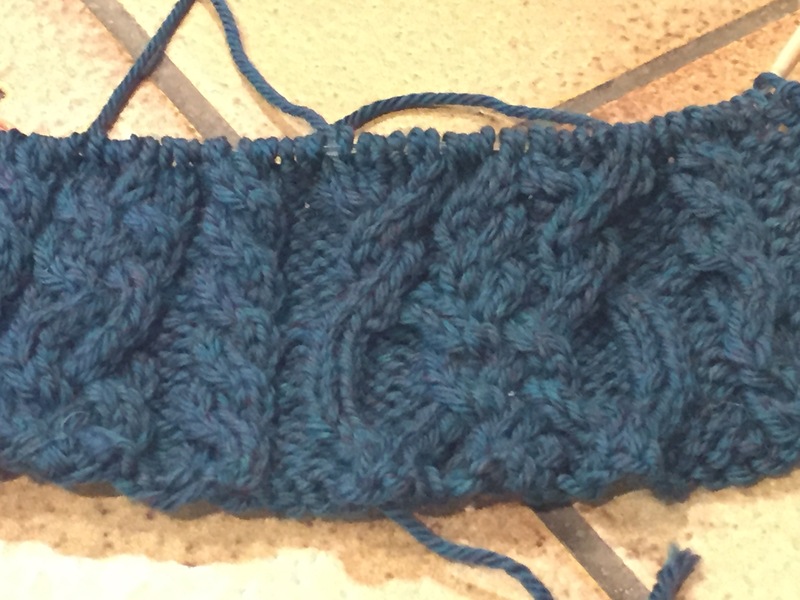 I have already finished the sleeves, but as they are just stockinette stitch, I did not find them very interesting. 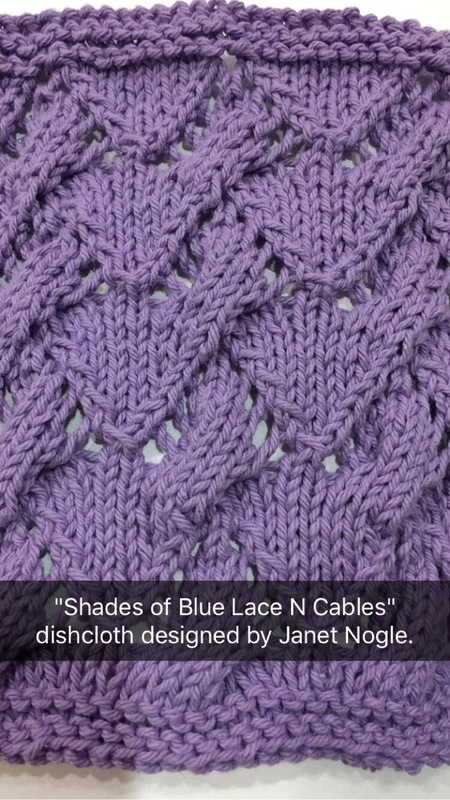 Knitting cables is so much fun! I love the manipulation of the stitches and the texture they create in a piece of knitted work. 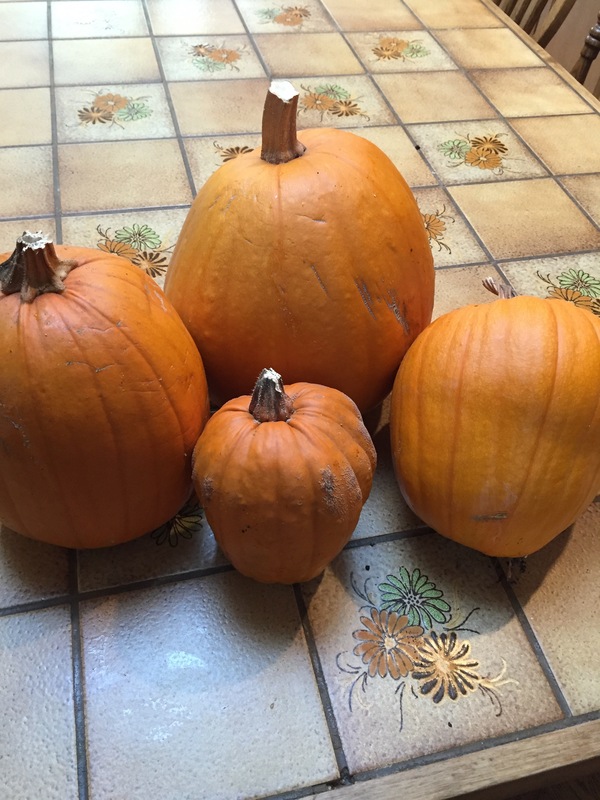 I finally harvested my pumpkins!! 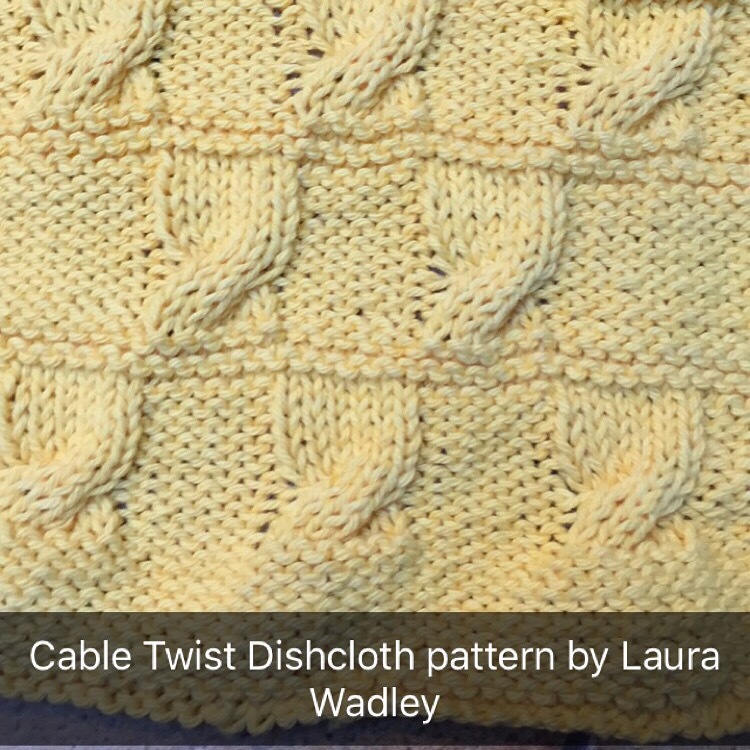 This dishcloth was a joy to knit! 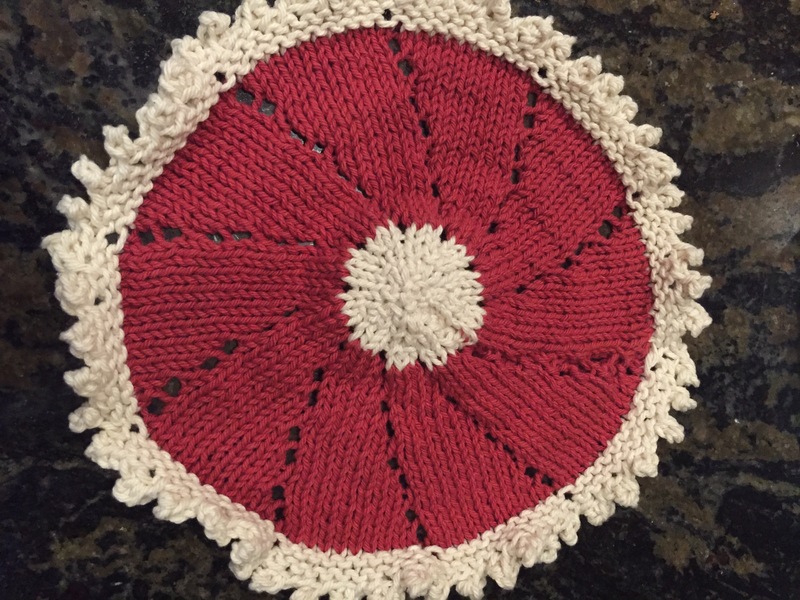 The circle is created on straight needles with lots of fb increases. So fun to knit. 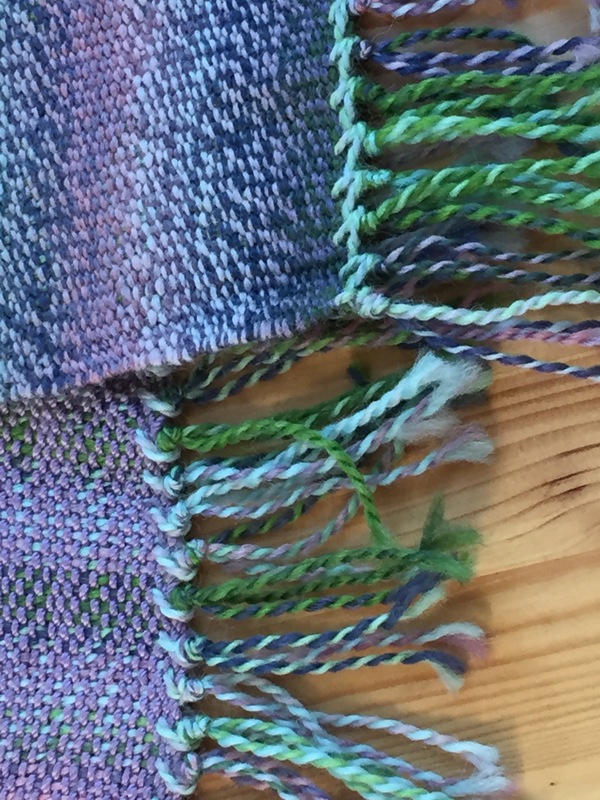 I wanted to start a new weaving project. 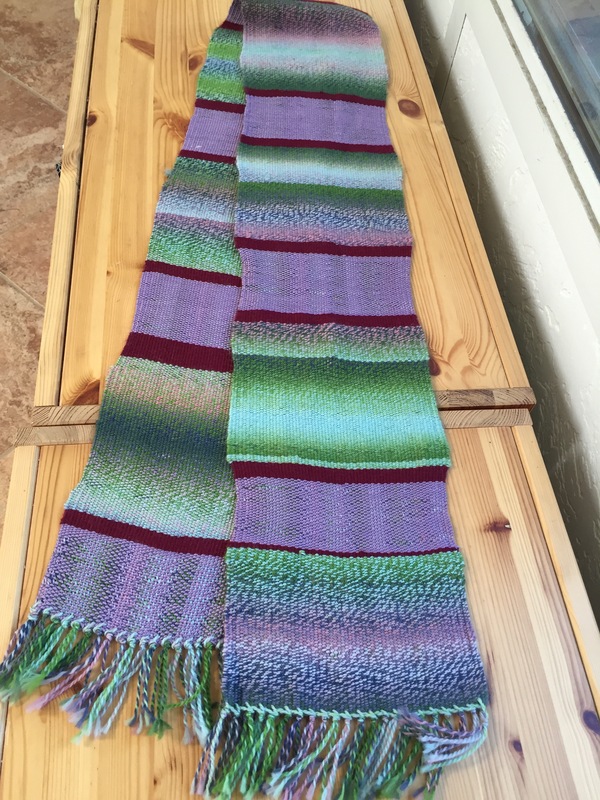 The only problem was that I still had something on the loom. Nothing like a little incentive to get the weaving juices flowing! A closeup of my hem stitching. Not perfect, but it will do. I can’t wait for the weather to get a little cooler so I can wear it! “Diamond with Moss Cloth” designed by Janet Nogle. 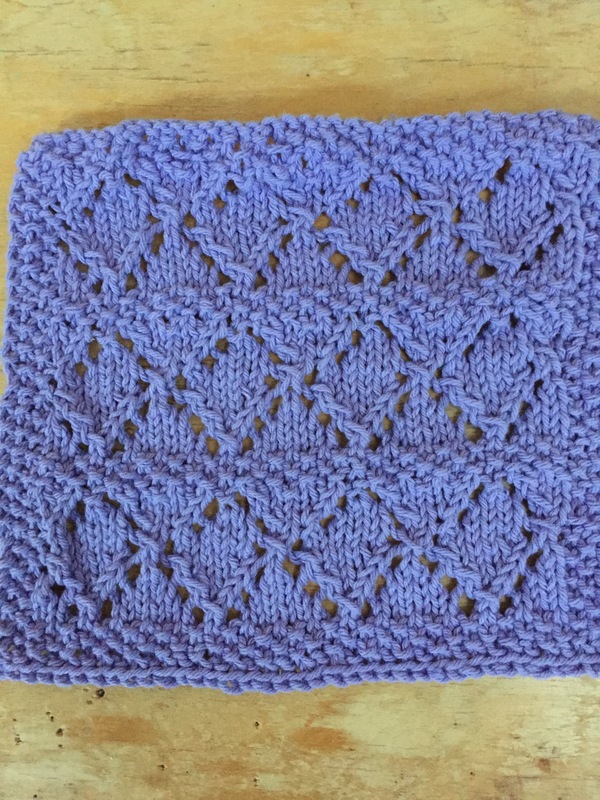 The pattern was used for the May 2012 Monthly Dishcloth Yahoo Group. I am still slowly working my way through the WIPs box. Getting closer to finishing! !